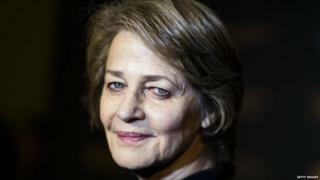 Oscar nominee Charlotte Rampling has called the ongoing row about the lack of diversity at this year's Academy Awards "racist against white people". Asked by France's Europe 1 if she understood some black stars' decision to boycott the event, Rampling said: "No, I think it's the other way round." "We can never know... But maybe it's because no black actors merited being nominated," she said. Rampling, 69, has been shortlisted for best actress for her role in 45 Years. Quizzed over Spike Lee's suggestion that quotas might need to be introduced for black, Asian and minority ethnic actors, after all 20 Oscar acting nominees were white for the second consecutive year, Rampling was dismissive. "Why put people into categories? We live in a country now where everyone is more or less accepted. Problems will always be sought [people say] 'him, he's less attractive', 'him, he is too black', 'him, he is too white'… there will always be someone who comes out saying 'you are too something'." "So basically are we saying we are going to put everyone and everything into one class or another to create lots of minority groups everywhere?" Her comments follow a slew of actors who have backed Lee's announcement that he could not support the "lily white" awards show and were widely disparaged on social media. Two-time Oscar nominee Viola Davis added her voice to the ongoing diversity row, arguing there should be more roles for black performers. "The Oscars are a symptom of a much greater issue and that's the issue of the Hollywood movie-making system. The opportunity does not match the talent. There needs to be more opportunity. You have to invest in it," she said. Last year, Davis became the first black actress to win an Emmy for best actress in a leading role on a TV drama, for her performance in How to Get Away With Murder. At the time, The Help star gave an emotional acceptance speech which echoed her comments this week: "The only thing that separates women of colour from anyone else is opportunity. You cannot win an Emmy for roles that are simply not there." Oscar winner Reese Witherspoon expressed her "disappointment" over this year's nominees on her Facebook page: "So disappointed that some of 2015's best films, film-makers and performances were not recognised," she wrote. "Nothing can diminish the quality of their work, but these film-makers deserve recognition. As an Academy member, I would love to see a more diverse voting membership." 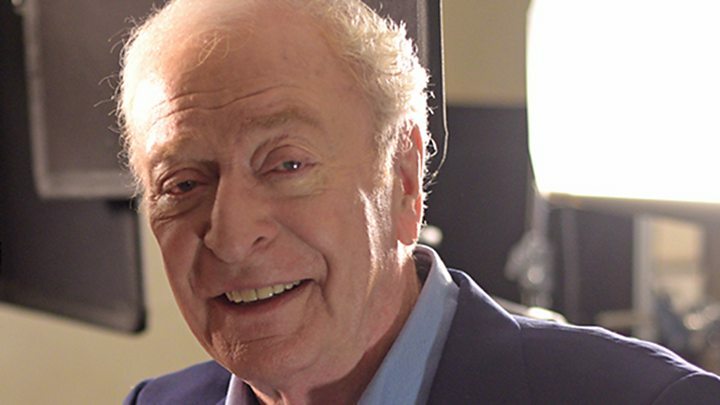 But double Oscar-winner, Sir Michael Caine, advised black actors to "be patient". Media captionSir Michael Caine on the nomination of black actors at the Oscars. "There's loads of black actors. In the end you can't vote for an actor because he's black. You can't say 'I'm going to vote for him, he's not very good, but he's black, I'll vote for him'," he told BBC Radio 4's Today. "You have to give a good performance and I'm sure people have. Of course it will come. It took me years to get an Oscar, years," he added. On Thursday, former Oscar nominee Will Smith joined his wife Jada Pinkett Smith and director Lee in boycotting this year's Oscar ceremony on 28 February. Actors Mark Ruffalo and Dustin Hoffman have backed colleagues boycotting the Oscars, while Quincy Jones has demanded to "speak for five minutes on the lack of diversity" at the ceremony, or he will refuse to fulfil his role as a presenter. Fast and Furious star Tyrese Gibson and rapper 50 Cent have called on Chris Rock to step down as Oscars host in the wake of the furore.